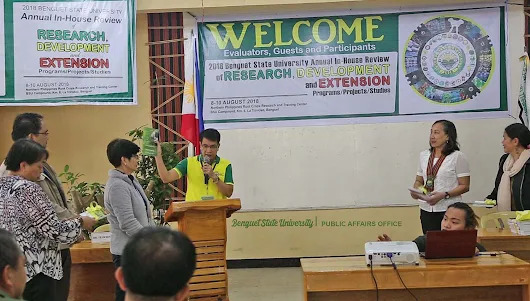 Four books on organic vegetable production were launched on August 8, 2018 during the opening program of the BSU Agency In-House Review. The set contains some of the major outputs of the PCAARRD-funded National R&D Program on Organic Vegetables. These results of the component projects are on variety evaluation, organic fertilizers, microbial, and pest management products and systems which were transformed into an easy-to-read information material. 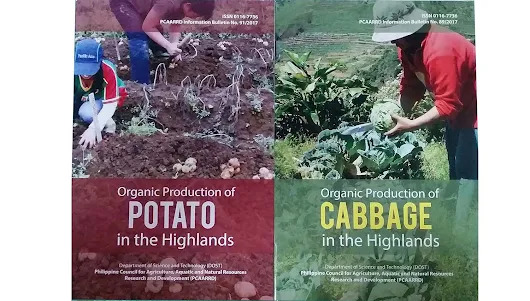 The books,“Organic Production of Cabbage in the Highlands”, “Organic Production of Carrot in the Highlands”, “Organic Production of Garden Pea in the Highlands” and “Organic Production of Potato in the Highlands” guide farmers from land preparation to harvesting. The authors are Darwin A. Basquial, Carlito P. Laurean, Asuncion L. Nagpala, Jocelyn C. Perez, Belinda A. Tad-awan, and Luciana M. Villanueva. These were edited by Bethilda A. Umali of the Agricultural Resources Management Research Division ARMRD-(PCAARRD) and Paul Jersey G. Leron of the Applied Communication Division ACD-(PCAARRD. Katrina Marie V. Mananghaya from the same division designed the said books.Editorial advisers are Rodolfo O. Ilao, director of the ARMRD-(PCAARRD) and Marita A. Carlos, director of the ACD-(PCAARRD). “PCAARRD sees to it that we give our readers information and technologies that are science-based. This publication is one example where we feature and translate PCAARRD-funded accomplishments in an understandable print material fit for our target readers. 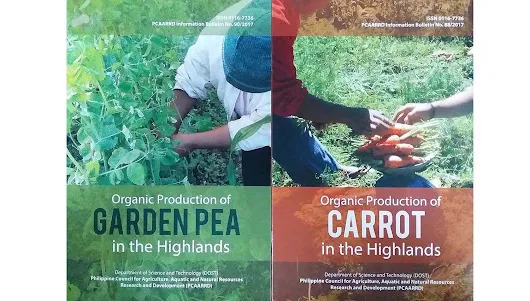 This is one of our contributions to our country’s effort of promoting organic agriculture,” reads the foreword from Dr. Reynaldo V. Ebora, Acting Executive Director of PCAARRD.